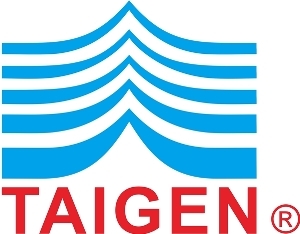 Taigen Bioscience Corporation, founded in 1992, is an Taiwanese manufacturer specialized in the development, manufacture, and marketing of reagents and fully automated instruments, of nucleic extraction, PCR amplification and molecular diagnostics. LabTurbo is the trademark of Taigen’s CE-IVD marked automated systems for nucleic acid and PCR reaction setup. We strive to serve our global partners with high performance and productivity-level products; proudly, our efforts and diligence in creating innovation have been recognized in numerous published paper. As an front-runner in the era of industry 4.0, Taigen is launching our first-to-market, integrated extraction-amplification system in one compact unit, which is highly compatible with most of third-party PCR reagents and kits. This entry was posted in Biotech Companies, Biotech Companies Taiwan and tagged CE-IVD marked automated systems, LabTurbo, molecular diagnostics, nucleic extraction, PCR amplification, PCR reagents, Taigen, Taigen Bioscience, Taigen Bioscience Corporation by Biotech365. Bookmark the permalink.